Ceaberry's Haberdashery and Homesteading: New journey started, Step 1. I will be podcasting soon! I have so much to share that it should be a nice episode (or I might break it up into a few smaller ones! I have slow internet so I understand file size issues). But that's not what this post is about! I want to mark the beginning of a journey. I have a quilt to hand sew and hand quilt. 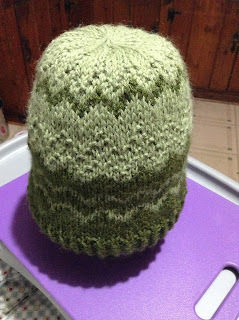 This is for my girls, I needed something portable, like my knitting. But sometimes my wrists don't like knitting or cross stitching so sewing in my option. I hope to finish this in about a year. Journey step 1: Received the precut pieces my mom, bought me for my birthday (October 6th, I turned 30). I don't have the time or resources to cut 900+ squares/rectangles so she bought me a precut kit that was fussy cut. Fussy cut: to cut fabrics out with the motifs in mind. A boxed arrived in my mailbox... Just a note to USPS, just because it CAN fit in my mailbox doesn't mean I CAN get it out of my mailbox. Especially if I am holding a 20lb 9 month old in one arm. I opened the box excitedly and found the pattern on top of waxed paper. When I opened the waxed paper, a delight of the eyes appeared before me! Those neutral fabrics are tied in bundles! What a nice added touch! The colored fabric was neatly arranged by color. Soo many bundles of fabric! A lovely note. They cut 900 squares/rectangles!! As you can see it says she over cut the amounts for picking and choosing (I got 32 extra of EACH)!